When CEO Jarrett Bauer discovered that his grandmother was readmitted to the hospital for an avoidable CHF exacerbation, he thought to himself, “there must be a better way.” Leveraging his extensive background in healthcare, Jarrett set out to actualize his vision of an appealing solution to the nation-wide issue of hospital readmissions. The result was the birth of Health Recovery Solutions in 2011, when Jarrett and founding partners Rohan Udeshi and Dan Priece utilized innovative technology to create an engaging, completely cloud-based platform for patients and their families, which was also fully optimized for clinicians. 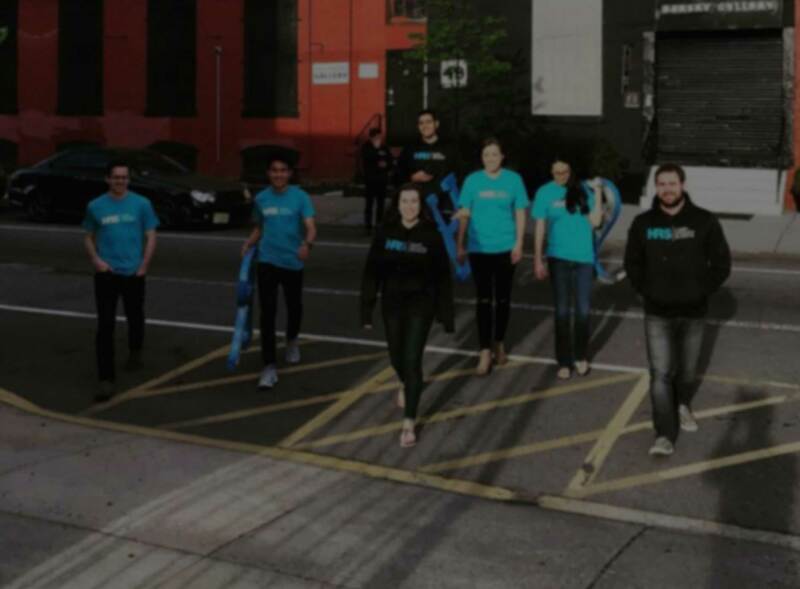 From its humble beginnings with three guys in a one-bedroom NYC apartment, HRS has expanded to a Hoboken office with over 30 employees, servicing over 80 leading medical centers and over 30,000 patients. HRS has become a market leader in remote patient monitoring and will continue to reinvent the latest and greatest solutions for years to come. Health Recovery Solutions was created on the belief that the most effective health care is basic and uncomplicated. We believe that outpatient care is as vital as inpatient care. We believe that one of the worst possible things is not having a voice or the tools to succeed once you leave the hospital. We are committed to the idea that the only way to reduce healthcare costs is to change patient behavior. An industry leader in care solutions, HRS is currently utilized in over 80 leading medical centers. Thanks to Health Recovery Solutions' patented tablet application, nurses, doctors and family members nationwide are now able to provide extensive, remote care from virtually anywhere – all while patients are in the comfort of their own homes. Jarrett is a second-generation chicken farmer and enjoys taking dance classes on the weekends. As a healthcare consultant, Jarrett saw a need for better outpatient care. Combined with the national need to reduce readmission rates, he began researching effective methods to keep patients healthy. Guarded former NBA Center for the Lakers, Andrew Bynum in rec basketball (8th grade) and held him to 4 points. The NBA scouts unfortunately overlooked my talent during the subsequent drafts so I decided to pursue a career in technology instead. After receiving his BS and MS in Electrical Engineering from Villanova, Rohan managed enterprise trading and accounting systems for some of Wall Street's biggest banks. When offered the opportunity to start HRS, Rohan jumped at the chance to use his passion for technology and entrepreneurship and team up with some of the brightest minds in healthcare to make a positive change in the world. I once attended an all-girls school while building virtual reality tours for the Vatican. After receiving his BS and MS in Computer Science at Villanova University, Dan teamed up with alumni to form Health Recovery Solutions. With his understanding of product design and the associated technologies, he built HRS' advanced medical software. 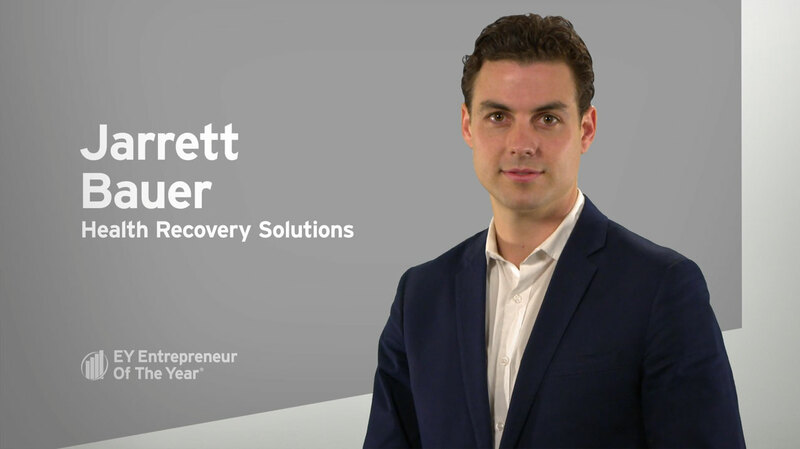 His main goal is to create innovative and dynamic recovery solutions for providers and patients. When Dan is not building software, he enjoys being with his family and working on cars, especially BMWs. Alex Ellis has over six years of cyber security experience and has recently made the switch over to the healthcare industry. Alex has worked for several start-ups in the past but wanted to work with one that directly affects patients' outcomes and quality of care. When he's not managing the operations and support teams, he enjoys long walks in Central Park with his 5-year-old dog Ziggy and practicing Kung Fu. I am an avid skier. I learned how to ski when I was three years old. Prior to joining HRS in 2017, Justin owned and operated Alliance Homecare, a high-end homecare agency in New York City. Serving as both the CFO and COO, he built Alliance into a multi-million-dollar enterprise with three regional offices and 200+ employees. Justin successfully exited the business by selling his shares to a group of investors in 2016. Before Alliance, Justin worked in high net worth finance at AIG and Wintrust Financial. Nolan wears cut resistant gloves when he chops vegetables (ask him why!). Before joining the HRS team, Nolan served as the Assistant Director of Operations at an electronic medical record startup in Ann Arbor, Michigan. Nolan is passionate about using modern software solutions to improve patient care. I have been to every single beach on the New Jersey coastline but my all-time favorite is Long Beach Island. Upon graduating from Bloomsburg University, Nikki concentrated her efforts as an exercise physiologist. She joined HRS as a member of the operations team and is instrumental in driving relationships with providers and patients. She also manages technical support and logistics. In her spare time, Nikki enjoys traveling, exercising at the beach, and volunteering with dog rescues. Nathan graduated from Villanova University back in 2011 and moved from a large software development firm to join the HRS team in the beginning of 2014. With a client centered focus, he is always taking customer feedback, patient needs, and new technologies into the HRS roadmap. If he's not coordinating software projects and making sure patients have the best application experience available, you can find him out climbing or playing basketball. In general, Nathan is always moving, searching for ways patients can do the same, and better fit clients to help them achieve it. Joe has been working in software development since 2007 across a variety of industries and technologies, having joined HRS after previously working for Wayfair in Boston and Blackbaud in Charleston, SC. Outside of software his passions include traveling through Europe, snowboarding, hiking, distance running, and playing soccer. According to a photographer, my eyes are almost the same size (which is very rare case). Olga graduated from Mykolaiv State Humanitarian University in the Ukraine. With 11 years of experience as a Software QA Engineer in a variety of industries and technologies, she joined HRS to help move our applications to the highest level of quality. Outside of work she enjoys parachute jumping, taekwondo, cooking, and traveling with her family. Owned a pet elephant in Thailand named Tow Lek! Motana has been working as an operations associate since 2016. He has experience across a variety of industries and previously worked for Takpittayakom School Tak in Thailand as an assistant teacher. Outside of work, Motana enjoys video editing, traveling, hiking, running, tennis, ping pong, and playing soccer. With 14 years of experience in home health as a clinician and a clinical manager, Rich joined HRS in 2014. Utilizing his experience reasearching the efficacy of Cardiac Rehab and telehealth, he now researches and develops the best practices for HRS' patient engaging software and continuous growth of the company's customer base. Rich also focuses on alternative therapy uses of HRS software and measuring outcomes and cost-effectiveness for HRS partners and their programs. I am bilingual in English and Hebrew. Tom is currently attending the New Jersey Institute of Technology in a B.S./M.S. program for Biomedical Engineering. Tom hopes to attend medical school following his graduation. His hobbies are racquetball, volleyball, video games, and reading. I received a minor in Music & Technology and have the capabilities to produce music. Angelo wants to improve the lives of others any way he can, while also improving his own. He feels the best way to do so is through healthcare and is particularly passionate about mental health. Sports make up a large portion of his life, whether he is playing recreationally or watching the professionals (die-hard Yankees fan). He loves all kinds of music and is particularly interested in psychoacoustics, the study of how sound is perceived and its psychological effects. I can fold my tongue into a clover shape. At HRS, Angely provides support for clients and conducts quality assurance testing in order to ensure that patients and clinicians can benefit most from the software. Outside of work, she likes to travel, read and rock climb. Before HRS, my job was delivering food on my bicycle in New York City's snowiest weather. Brice started out delivering food on a bike in NYC until he decided to pursue his dream of becoming a programmer. He is passionate about building beautiful and intuitive user experiences. Sara might be a more evolved human - born without wisdom teeth and have a slightly webbed toe. Sara moved to NYC after graduating from the University of Texas and worked in a variety of industries, including starting a jewelry company before finding her passion with software engineering full time. After working at a small software development agency for a few years, she joined HRS to be a part of a smart team that builds high quality applications to help people in real world settings. In her free time, she loves hiking and spending time with her family and dog, Margaret Thatcher. I love baking and frequently bring baked goods to the office! Lilly joined the HRS team in the spring of 2017 in pursuit of her passion for improving the healthcare industry. As a recent graduate of Stevens Institute of Technology, Lilly acts primarily as support for the Client Success and Operations Teams as she manages the other interns. When she is not at work, she enjoys cooking and trying new foods! I got my scuba license at the age of 12! Besides his time spent in upstate New York for school and a brief 2 years living in London as a kid, Will is a New Jersey native. He knew he wanted to be involved in population health based on his studies at Cornell University and so found himself joining the HRS team in September of 2017. In his spare time, Will enjoys cooking, wine with friends, and anything outdoors. I have a type of synesthesia, so life is literally a symphony. A native Texan, Karmen graduated from Princeton with a degree in History of Science. After studying the many ways technology can positively affect health outcomes, she abandoned the medical school route and came to HRS. She is passionate about modernizing our healthcare system to reflect 21st century standards while making it more equitable and cost-effective. In her spare time, Karmen likes to write, trail run, listen to podcasts, and watch stand-up comedies. I love to travel! I have visited numerous countries in Latin America and Southeast Asia. My favorite country is Vietnam! Philip studied English at the University of San Francisco. He brings a sales background within the home health industry, specializing in technology based solutions. Philip has a passion for the outdoors, softball, and his family. Rich is a Senior Full Stack Developer literate in various languages. When he's not working, he enjoys spending time with his family and racing. My friends and coworkers call me Steve! Aimee moved from Philadelphia to NYC after graduating from the University of Pennsylvania. After working for a variety of companies within finance, she decided to join the HRS team and leverage her passion for helping people. In her spare time, she enjoys playing sand volleyball in Central Park, listening to comedy podcasts, and finding the best place for tacos in Manhattan. In the fourth grade, I entered into the New York City of Environmental Protection's Water Resources Art & Poetry contest..
With a B.S. in Materials Science and Engineering from the University of Wisconsin-Madison, Janerra has worked extensively as a researcher in the Biomedical Engineering and Medical Physics department on campus. Her experience includes working on stroke and epilepsy studies with a neuro-radiology group. Her interests are in research and development as well as product management. I was once on 60 Minutes! Elena graduated from Tulane University in 2016 and received her MPH from New York University in 2018. She joins the HRS team with a passion for improving patient outcomes in creative and sustainable ways. Prior to joining HRS, Elena taught preschool, was a therapist for children with Autism, and worked in many hospital and research settings. Outside of HRS, Elena loves reading, meeting new dogs, playing soccer, cooking with her Instant Pot, and exploring the many things that NYC has to offer! I was in a documentary! Halley studied Social Work at Yeshiva University and worked as a social worker prior to joining the HRS team. Halley recognized firsthand how technology can enhance patient care and improve quality of life through her work as a social worker. When she's not at work, Halley enjoys trying new workout classes, visiting museums, exploring the restaurant scene in NYC, and spending time with friends, family, and her dog Riley. I hold a triple citizenship between the USA, the Netherlands, and Poland. Jonathan's career in healthcare began shortly after his graduation from college, when he became interested in physical therapy. This interest carried him from working in a Midtown Manhattan physical therapy office to working as a personal trainer in Hoboken. He is excited to bring his customer service and client relations experience to HRS, serving patients and clinicians as a Support Engineer. When not in the office, Jonathan cultivates his understanding of health and wellness by studying Tom Myer's Anatomy Trains and practicing Naudi Aguilar's Functional Patterns (and thinks you should look into them too!) He also enjoys comedy, seeing his favorite bands perform live, and traveling. I have been skydiving and cliff jumping (miraculously survived both) and regularly risk my life riding horses. Growing up, Caroline was always interested in the medical field. After exposure to engineering, she knew she wanted to lead the technological push in creating the differences in patients' lives, especially to prevent further health conditions. This led her to biomedical engineering and engineering management in college and eventually to HRS post graduation. In her free time, she goes to the gym regularly, makes a trip out to her barn for a riding lesson, cooks and bakes, and teaches herself piano. I was a translator for the South Korean President Moon Jae-in's security service when he visited the States to meet Trump for the first time in 2017. Joyce graduated from Carnegie Mellon with a diverse background in Decision Science, Business Administration, Photography, and Web Development. She finds it extremely rewarding to be able to build products that truly empower both patients and providers in the healthcare industry, and is inspired by the passion of her peers every day. I never went to high school. Carib grew up in Austin, TX and spent most of his life traveling around the US and Mexico. Before joining the HRS team, he worked as a technology journalist and corporate ghostwriter. In his spare time, he enjoys playing pool, cooking, and making crossword puzzles.